Lucy wants a long weekend to take Kim and Craig to Mexico but is afraid to ask Harry for the time off because of his bad temper. Lucy insists that the reason Harry is always grumpy is because he has bad eyes, but Harry refuses to get his eyes tested. 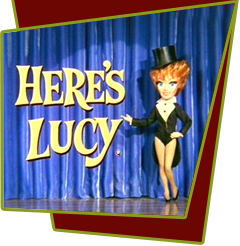 Lucy, Kim, Craig and the optometrist pull many pranks on Harry, including a disappearing coat hook, identical twins, a missing dotted line, an invisible dog, and other stunts. Poor old Harry is finally convinced that he really does need glasses. Special Notes: This episode features some changes to the set including no window in the office doors plus a time clock.